The growth of independent publishing has also seen increased entrepreneurship in magazines for children. Reinforcing retail sales with strong subscription support has enabled new publishers to produce individualistic magazines that avoid ties to advertising or mass market. Storytime is one such new publication for children, and SCBWI member Alex Wilson was one of the first illustrators approached to work on it. Storytime was also his first magazine commission. Here are his experiences. As things go, working as a freelance illustrator can be an odd and unpredictable occupation at times, especially when it comes to finding new clients to work with. 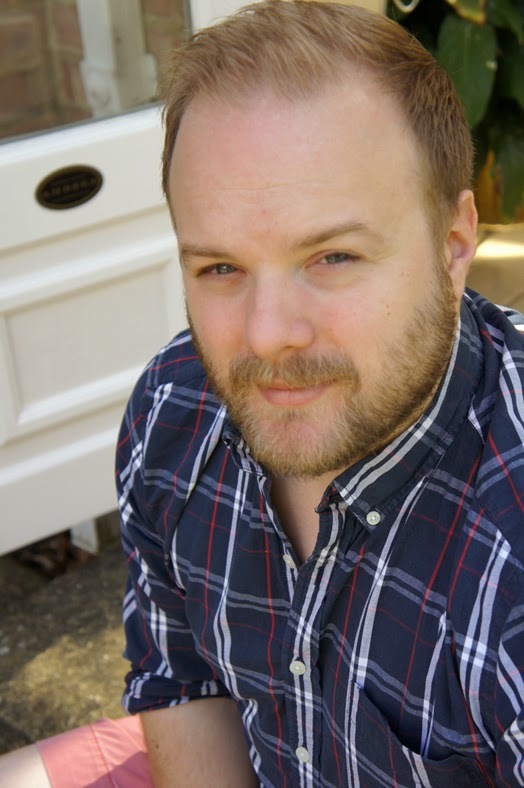 Dedicating hours of your day (when you would really much rather be drawing) to researching and approaching any and all publishers that may have need of your work is, at times, an absolute necessity. After days of cookie cutter replies, automated responses or nauseating silence you get an e-mail from a publisher whose name you don't recognize. Sometimes, the best jobs can come from a source you hadn't thought to look for, one you didn't know existed. Luma, a small London-based publisher, reached out to me via the Adobe owned social portfolio platform Behance. A portfolio, which to be honest, I had half forgotten I had created. Luma's Art Director had stumbled upon some of my work and wanted to know if I would be interested in providing cover artwork and some interior illustration for the second issue of their upcoming children's magazine Storytime. Storytime, as it was described to me, seemed like a wonderfully ambitious project. One that aimed to drop the plastic riddled, ad space and franchise toy driven sales model that many of the magazines that line the shelves in most supermarkets and bookstores stores have adopted. Instead, Storytime would focus on high quality print production, with classic tales retold with original illustrations every issue. It would feature artists handpicked by Luma from across the globe, deliberately avoid cover toys, advertisements and be presented in a way that would make both kids and parents alike cherish each new issue as an opportunity to read together. Needless to say, I was more than happy to get involved. This would be my first time working for a magazine and it was an extremely positive experience thanks to the team at Luma. 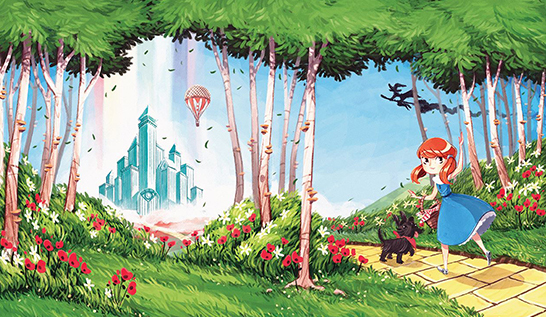 My cover and interior brief was based on a excerpt from The Wonderful Wizard of Oz by Frank. L. Baum, with specific instruction to avoid cues from the film (so no ruby slippers!) and to keep the colour palette bright and welcoming. With a refreshingly flexible schedule, feedback and design notes specifically tailored to the artist's style of illustration, it was understandable that a cohort of other fantastic illustrators were already on board. Working with Luma was a totally different experience from what I was used to. One I wish I had experienced more often. The team's treatment of their artists and their product served to reinforce the vision of what they wanted their magazine to be. As the work started to come together, it really began to feel like I was involved with something a little different, maybe even special. Something where the magazine publisher was just as passionate about the stories and the art as they hoped their readers would be. 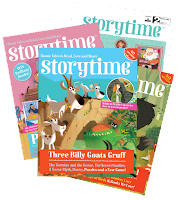 The first issue of Storytime was released in early September 2014, with issue 2 following hot on its heels at the start of November. It was the first time I got to see my work on store shelves at home in Britain and I couldn't be happier it was in the form that it was. Nearly 12 months later,Storytime seems to have carved its niche nicely, frequently standing out amongst the legions of cellophane encased, mascot endorsed and cheap toy brandishing mags that line the rest of the rack, competing for the attention of the kids walking by. 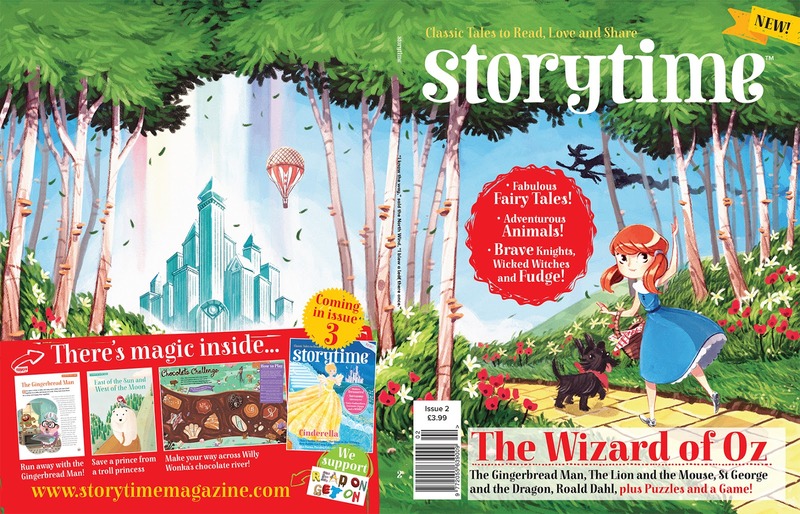 I've not had the chance to work with another children's magazine as of yet, but if the Storytime approach proves to be as successful over time as it seems, perhaps a larger section of our news stands will be occupied by words and illustration, rather than mock cell phones and ad space. Alex Wilson is a previous SCBWI Featured Illustrator. Thank you Frances! I'm happy you enjoyed the read! What a wonderful post, Alex. You must be so chuffed. The cover is gorgeous; your talent shines through. I'd never heard of Storyteller so I'll look out for the magazine now.